Many people feel the best way to celebrate Valentine’s Day is to enjoy an evening at home with the one they love. A quiet dinner followed by a romantic movie can make for a relaxing, memorable Valentine’s Day. 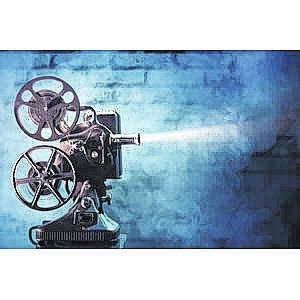 Romantic films pluck at the heartstrings and leave few dry eyes in the house. This genre has produced many unforgettable moments in film. While many people have their go-to romantic films, it can be fun to rethink those preferences and watch something new. The following are just some of the films dubbed “the most romantic movies” by sources such as AMC, TimeOut magazine, Rotten Tomatoes, and Flavorwire. · Beauty and the Beast (1991): This animated classic tells the tale of a prince who is disfigured into a beast to outwardly represent his internal ugliness. Only true love can break the spell, which seems unlikely until the lovely Belle comes into the Beast’s life. Fans of the animated film will have another opportunity to fall in love again with the live-action retelling of the story set for release in March 2017. · The Notebook (2004): Based on Nicholas Sparks’ novel of the same name, this modern cult classic is set in 1940s South Carolina. The movie is the tale of a poor man who falls in love with a rich young woman, only to be separated by their social differences. However, true love ultimately prevails in the end. · When Harry Met Sally (1989): Close friends Harry and Sally have known each other for years and ponder if engaging in an intimate relationship would ruin the friendship. · Gone With the Wind (1939): This sweeping epic is set in the antebellum south during the American Civil War. The story of Scarlett O’Hara’s tangled love affairs has been popular with film fans for nearly 80 years. · Sense and Sensibility (1995): This film is a dramatic interpretation of Jane Austen’s novel published in 1811. Sudden financial struggles force the Dashwood sisters to move to a distant cottage. Locals develop romantic feelings for the ladies in this story that is considered an early example of the romantic novels of today. · Roman Holiday (1953): A European princess is disillusioned with her life and needs an escape. She takes off for a night in Rome and meets an American reporter, who first thinks he can get the exclusive scoop on the runaway princess. However, romance soon gets in the way of that plan. · The Princess Bride (1987): Wesley and Buttercup begin with a tumultuous servant-master relationship. But their love blooms only to have Wesley be called away, leaving Buttercup to believe he has died. The two ultimately reunite in this classic and often hilarious tale of romance. · Casablanca (1943): A nightclub owner in Casablanca is reunited with his old flame, only to discover she is traveling with her husband. During World War II, Ilsa wants her rebel husband to escape to America, but her renewed feelings for Rick leave her struggling with what to do.